Audi is about as consistent as it gets with its styling, as not a ton has changed in the past 20 years or so. Of course, there have been tweaks and shifts in the design language, but the brand’s overall timeless appearance has remained mostly intact. Then in comes the 2019 Audi Q8 to screw all that up in the most glorious of ways. Like breaking a bad eating habit by tossing a hand grenade in your fridge, Audi completely blew up its traditional design language with the all-new Q8. 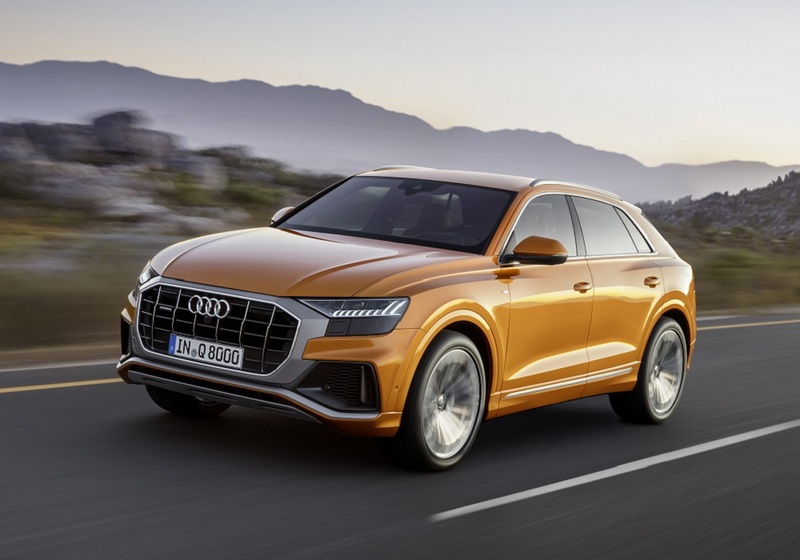 The 2019 Audi Q8’s only real tie to the current lineup is its Singleframe grille, but even that’s larger and boasts a new, thicker surround that seems too bold to be from the four-ringed brand. 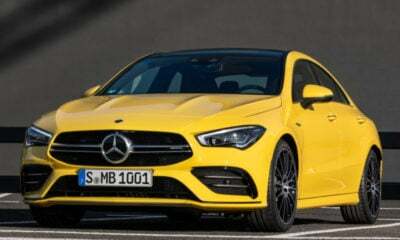 Heading toward the rear, you’ll find the D-pillar raked toward the front of the vehicle, giving it the coupe look that Mercedes and BMW went with in the GLE Coupe and X6, respectively. 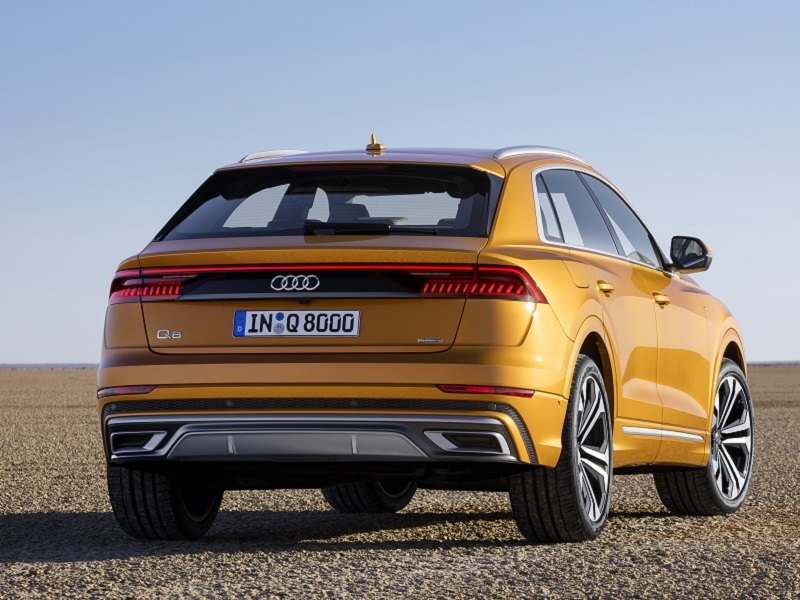 Once you get to the rear, things remain distinctly un-Audi, as a long, thin LED strip connects the LED taillights, and the chunky rear bumper highlights the Q8’s width. Inside, things continue to change, as the bolstered sport seats show the Q8 is tuned for sport, and the horizontal dashboard lines further widen this spacy, five-seat cabin. Speaking of the dash, there is a lot to love here, as its lines are sharp and refreshing, plus there are available light strips that highlight the lines in the dark too. In terms if tech, there is a new MMI infotainment system that almost disappears into the piano-black bezel when you turn it off. 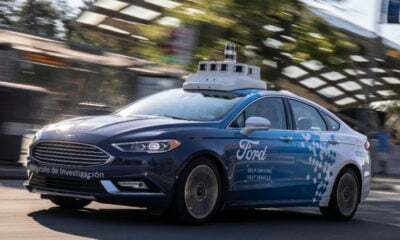 The under-hood bits are still in the works, but we do know there will be a 3.0-liter turbocharged V-6 in the U.S. that pairs with a 40:60 rear-biased all-wheel-drive system. There may also be V-8 power in the works for an SQ8 or an RS Q8. 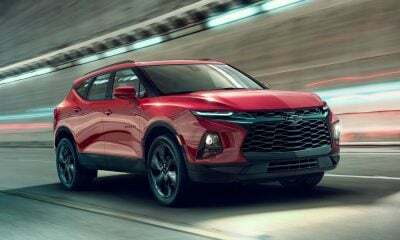 Besides great gasoline-fueled power, there also will be a mild-hybrid system in every 2019 Q8, giving it initial boost at launch and acting as an energy-recovery device. Audi expects to have the 2019 Q8 in showrooms in the fourth quarter of 2018. We should have more details on it as that time approaches. Stay tuned.